Both Apple and Ireland played by the rules, the CEO said. The European Commission's decision to force Apple to pay Ireland billions of dollars in back taxes is "total political crap" and a reflection of anti-U.S. sentiment, company CEO Tim Cook told the Irish Independent in an interview published Thursday. "No one did anything wrong here," Cook said. "Ireland is being picked on, and this is unacceptable." The EC ruled on Tuesday that Ireland gave Apple illegal tax benefits by not collecting €13 billion ($14.5 billion) in taxes owed to it over a 10-year period. It was the culmination of a two-year investigation into the company's tax affairs that found Apple's effective tax rate on profit reported in Ireland was just €500 per million euros in profit, falling to €50 per million in 2014. 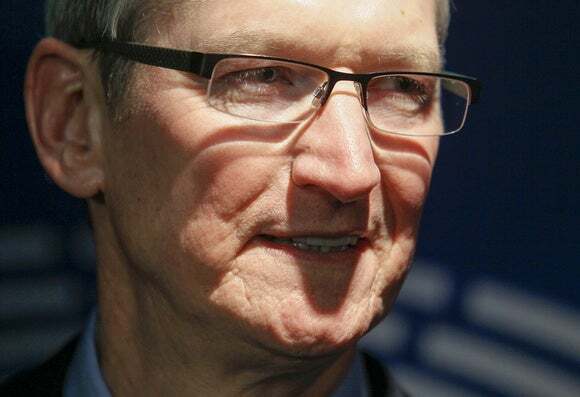 The Commission’s charges have "no basis in fact or in law,” Cook wrote in an open letter to Apple customers on Tuesday. The Irish tax authority has also disputed the ruling. Apple will still proceed with a planned expansion in Cork, Ireland, Cook told the Irish Independent, but the company also hopes the Irish government will follow Apple's lead and appeal the ruling. Both Apple and Ireland "played by the rules," he told the publication. “We paid $400 million in taxes in 2014. We believe we’re the largest taxpayer there." The EC is essentially trying to reallocate taxes that should be paid in the U.S. to the EU, Cook told the publication, and may be using the case as part of a play to harmonize tax rates across the EU, as well. The fact that Apple was targeted is also in part a reflection of anti-U.S. sentiment, he said. Neither Apple nor the EC responded to a request for comment, nor did the Irish government.